6 months ago we returned from a 4 week camping trip to Central Australia… and after that, I swore I’d never go camping again! Haha not really… we just made a conscious decision to NOT go away for a while. I mean, staying at home is SO underrated these days. 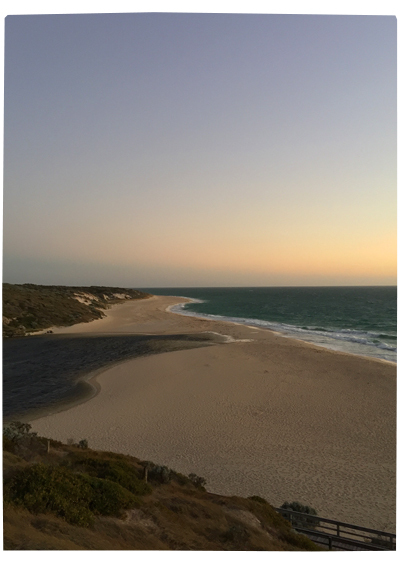 Anyway, last weekend, we finally decided to break our no-camping drought to join a bunch of our friends to camp at Moore River (Guilderton Caravan Park). Honestly, it wasn’t REAL camping, because the caravan park had lush green grass, lovely shade from trees, and super-amazing, shared facilities – hello microwave, electric kettles and clean, hot showers! We did lots of swimming, paddling, hanging on the beach, sand boarding, running, sunset bush walks, playing cricket, walking to the shops to buy ice cream, talking, chilling, reading the newspaper… it was the perfect. We only stayed 2 nights, but it was truly relaxing – even with so many young kids running around. There were 6 families in total (including 4 sets of twins! ), all our good friends and I felt totally blessed to know such lovely people!